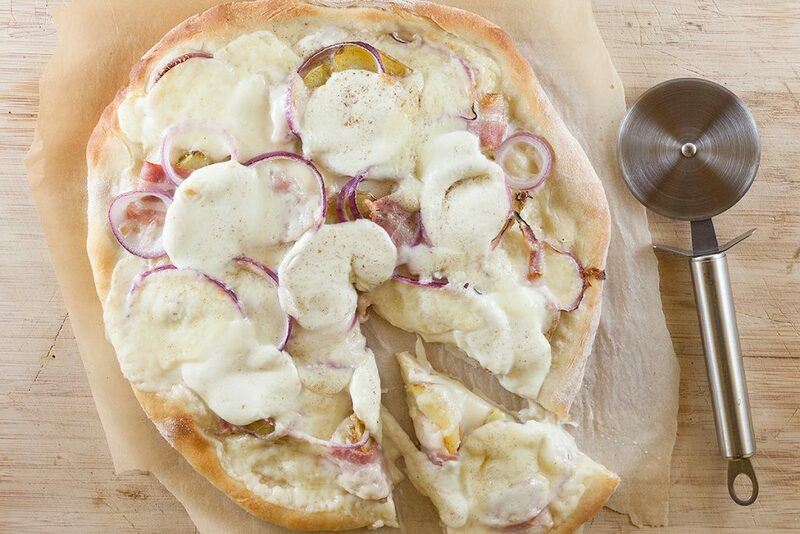 A raclette pizza is perfect for cheese lovers. Made using a Fench method, this pizza will surely make your hunger dissapear! Contains two types of cheese, potatoes, bacon and red onion.